As such we are keen to be involved in any institutional initiative that may affect our members’ work performance, social life and dignity. We provide support and advice to our members when they feel that they are not receiving fair, equal and respectful treatment. 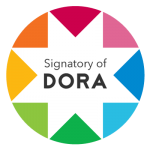 LUCU are proud to be a signatory of DORA, let’s change what we value in research. Counselling, support, financial assistance and more available to members through Education Support Partnership. UCU General Secretary election nominations are now closed. The ballot will take place 29 April – 23 May 2019.